So I conducted a brand new comparison test that shouldn't open up any questions/debates that had me retract my previous post. A new RAW processor has been released by Adobe that allows me to open up the CR2 and NEF files from each of the brands to compare (my previous comparisons were between JPG renditions which seemed to open up so much debate). I chose the Imaging-resource samples of ISO 50 shot with no noise reduction applied to them or any sharpening. The D800 is a production sample, while the 5Dmk3 was still pre-production. Regardless of what production state, this comparison should not be affected by that fact (unless the sensor was further redesigned from the pre-production, which I would not expect to be the case). In this comparison, it will demonstrate whether the massive increase in resolution in the D800 is truly warranted. An increase that has been much talked about by many photographic circles including the cost of massive 207 MB 16 bit files to work with. The increase is almost three folds more than the previous generation of Nikon cameras, and is almost 1/3 more than the 5Dmk3. However at what cost does the increase of resolution in terms of image quality? The biggest issues here are diffractive limits which is a property of physics that limits high density sensors from using smaller apertures like F/8 and up. The D800 most certainly provides more details with a 36MP sensor, or does it? In the first example, you can see in the 100% crop the differences are very minimal. The images have been normalized in size to compare any advantages that the 36MP image has over the 22MP images. The scaling was done using bicubic smoother in Adobe Photoshop which is the ideal algorithm for enlargements. I was actually surprised by how little difference there was, and in fact it is quite apparent that the reasons why are due to the diffractive limits. Take note on the mouse over sample of the softness or the haze of the black. Now keep in mind that both samples have not been sharpened. Sharpening would certainly help both sample, but the diffractive limits essentially negate any MP benefits you'd expect from a 36MP sample. In this 400% crop you can see even closer at a pixel level of any difference. 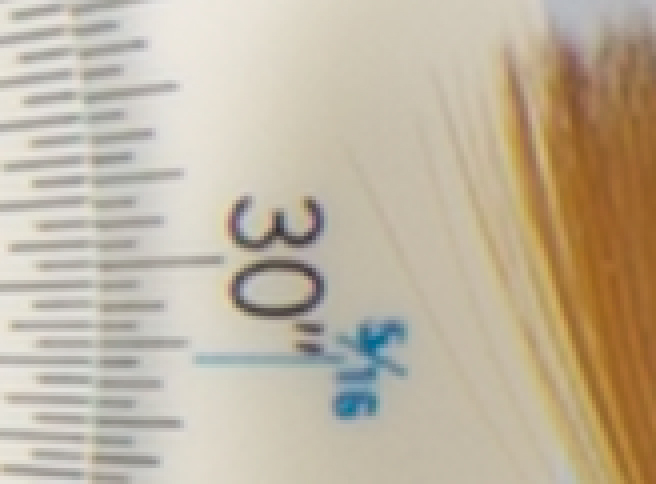 The fine hairs on the brush are no more resolved on a 36MP sensor over a 22MP example. Both cameras used the same Sigma 70mm lens shot at F/8 in studio condition lights, so all things are treated pretty equally here. Some might question whether if the alternate Nikon D800E would give any improvements? A good question, but also something I also questioned last year in my article (click to read article) on replacing the AA filter from your cameras with a neutral piece of glass. In my findings I found very little if no benefit of replacing the AA filter. I don't know if I can draw any real conclusion here, but if making a choice to pick one over the other based on MP is what you're hoping to find, then I can say that there is no benefit of one over the other. However this does come with a minor but. Diffraction is rearing it's ugly head already on the D800 examples, and no lack of AA filter or any software intervention can correct for that. Is the 5Dmk3 worth paying $500 more than the D800? Only you can make that call, however in this comparison, I would say that the MP advantage in terms of resolution does not give any more details than what they marketed to be so. For landscape photographers that shoot at F/11 or more, I would caution the idea of using a higher MP camera like the Nikon D800 for the idea that you can make larger prints. The diffractive limits will certainly negate any advantage, and as the posted examples will show, there are no net benefits of one over the other. In terms of medium format cameras which in some circles Nikon users believe will best, this is certainly not true. Medium format film still out resolves this sensor, but it does get closer, at least in terms of the lower 30MP digital sensors of medium format, this is at least an alternative to going to medium format for those studio shooters that are considering that path. I noticed another interesting thing but want to add this as a sidebar comment. It almost looks like the 5Dmk3 images are actually sharper. I would certainly treat this with a grain of salt. This could simply be a focusing error from the initial tests. You can see purple fringing on the Canon samples and Green fringing on the Nikon samples. However it doesn't negate the fact that when the Canon samples were upsampled that there were little if no difference. I did not focus on the sharpness issues in my article as I'm uncertain if this is a slight focusing error. The other thing to note is that the MTF of the Sigma 70 macro is an extremely sharp lens, so this should negate any debate on whether or not this lens can resolve for sensors at this density. Another question is if there are real benefits to more MP? Well in terms of High ISO it actually is a huge net advantage. Here's where high MP really wins out. Because of the 1/3 more details, noise is actually smaller. Even though the new 5DmkIII has better high ISO performance than the D800, when noise reduction is applied, there is more details in the D800. However who'd benefit from this the most would be very specialized or left to those portrait photographers that produce rather large prints, or maybe those rare cases of those that do astro photography where High ISO and detail is really important. But hitting the ball back into the Canon court, they know full well that when you increase density of a sensor it also means more noise even if the noise is smaller. This also affects the dynamic range where blacks get lost in all of that noise. Thanks for the information Terrance. Your insight is always welcome and I'm a big follower of your blog and saddened when one of your posts were taken down (by Nikon?). I was going to order a D800, but now I've changed my mind and going to either stick with the D700 I have or maybe other options. Thanks Gary. The D800 is still a great camera in my opinion, but just be aware if you plan on using it for landscape or architectural, you'll be facing some limitations. The ONLY drawback of a D800 compared to EVERY other photo camera, MIGHT be the 4fps. If you are a pro-shooter, 4fps is enough as you know when to press the button. On all other aspects it is a winner: architecture, fashion, documentary, landscape, portraits and even crap like weddings. For the latter, put it on 9 mpixel during the party and beat the crap out of 5dmkIII shots at high iso too. Terrance, I read another article that was commenting about why Canon didn't up the resolution of the 5DmkIII especially since they both look the same. But your points about diffraction and the examples you've demonstrated certainly make more sense now. Thanks for the info and keep up the good work. Thanks Trent. Diffraction is a fact that we've been dealing with since point and shoot sensors have been around. What is more troublesome is accepting a professional/semi-professional grade of camera with this limitation. Personally I think Nikon made a big mistake by going too dense and the irony is that Canon was criticized for doing the same thing with the introduction of the Canon 1Ds Mark III (and eventually the 5D Mark II). However it's more of an issue now with diffraction setting in at what was is the original sweet spot of most lenses at F/8. Another argument I've seen in support of landscape photographers is that they would use Tilt-Shift lenses. Well I use a tilt-shift lens and I still use F/11 and up. Regardless, the design of the D800 and the built in flash also restricts the ability to shift up or tilt the lens up which are both critical directions for optimal depth of field for landscape photographers. Terrance, I'd like to thank you for your excellent article. I was a bit confused about the alleged advantages of higher MP especially for landscape photography. Now I can see that diffraction is a limiting factor. I also do concert and event photography and high ISO performance is something I need from my new FF camera. I think the 5D MKIII has been bundled with the specs that meet my needs best. You're welcome Alsal. The 5DmkIII images are scaled up, but surprised that no details were lost by that exercise. I think Canon did the right thing not to increase the MP range. I just want to correct you that 36mp over 22mp is increase more than 1/2 and not 1/3 like you say. It is 65/100 mor pixels on d800 than on 5d mark3. Not sure I understand your math, but even if that was true it would mean the D800 vs the 5Dmk3 is even more insignificant as there is still no net gain in the resolution. I'm more conservative to call it 1/3 than 1/2 difference. I think you got your numbers backwards. Terrance, I really enjoyed your article. I was a bit surprised that you were able to extract such benefits from scaling. I had previously examined the scale on the original 5D and D800 photos, and there were clear differences in favor of the D800. Your uprezzed version is actually better (has more detail) than the original! How could that be? 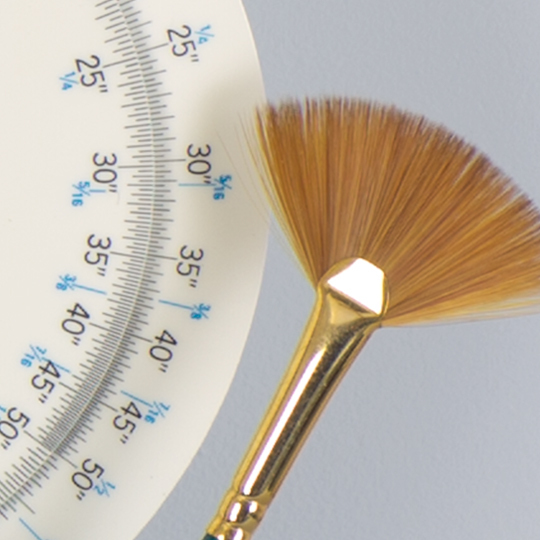 I suspect that bicubic smoothing is smart enough to detect and enhance linear data such as the markings on the scale. I suspect that selective sharpening of linear objectives is a part of the algorithm (I'm sure someone will correct me if I'm wrong). If so, that could/would explain why the 5DMIII 400% crop is sharper than the D800. Thus, the 5DMIII upscaled data-at least in the portion depicted in your crop-is actually an improvement over the unaltered crop! 1. upscale the D800 file by the same ratio, then check the scale for improvements. 2. repeat your test with crops from other parts of the photo e.g., the red cloth, or the Samuel smith label. I completed both of these exercises. Up-scaling the D800 file does indeed improve the detail in the scale (but I don't think the benefit is as great as the 5D scaling). Second, portions of the photo with more complex textures and colors do not increase their resolution when scaled (I would have been truly amazed if that was the case). In these portions, the D800's resolution advantage, while not great, is indeed noticeable. These are full files, not crops. Feel free to download these files and compare in any image viewer. Note, I used the respective raw files taken at ISO 100 to generate these files. All upscaling was done in Photoshop CS5. Thanks for the reply. I did find it a bit surprising how the upscaling actually improved. But one thing to take with a grain of salt is that throughout the entire samples, I've found inconsistencies everywhere. Sometime the Dynamic range looked better in the D800, and then it favoured the 5DmkIII. Not sure why, but sometimes studio tests are surprising. Bicubic smoothing is the recommended way of upscaling, and when done again on the 5DmkIII and then on the D800 the 5DmkIII does not favour as well as to be expected. The D-range of the D800 is amazing. That alone counters for many "dull shots". Since there is more room for highlights and shadows, the image looks less contrasty. You bet: it is 14.4 stops vs 12.5. Just process the D800 shots well, and you only win. 1) The lens does matter: WRONG. It is about how good can we grab the image that is produced by the lens. Bokeh or unsharpness may look fuzzy, but there is detail in bokeh too. With similar lenses, the D800 always grabs more detail and D-range than the Canon does. Even if it is a crap as hell Lensbaby. 2) Diffraction does matter: WRONG. The sensors are exactly the same size: 24x36 mm. Both camera's are having THE EXACT SAME DIFFRACTION CIRCLES on similar apertures and lenses. BUT, thanks to more Mpixel, the D800 renders the fuzzy circles better. You always have a smoother image no matter the F-stop. 3) 36 mpixel is too much blablabla... WRONG. You don't HAVE TO SHOOT AT 36mpixel. 20 and 9 are also an option on the D800, or 17 if you like professional 4:5 or movie 16:9: there is a great scope of options. It even has a hidden bird-cam inside on par with the best crop sensor camera's. With the Canon it is just 3:2 full frame. Thats it. And besides, we talk about 36mpixel in a bayer-pattern, so actually 12mpixel/colour in RAW, processing makes it a 36 mpixel file (the 5D is 7.7mpixel/colour), so pixel binning and downsampling compensates for the fact that there are never true RGB pixels in sensors. With 36 million cells, we can simply catch more detail and D-range than with 23. DXO proves this. Actually that would not give credit where it's due. DxO proves that individual sites perform well and it doesn't rely on resolution. DxO does normalization on their data, so whether it's 12 MP or 36 MP, the scores are supposed to compare them fairly that way. Normalization does not increase d-range based on pixel binning nor does pixel binning increase dynamic range. It averages information and reduces noise, but doesn't increase dynamic range. Not sure I've ever heard that lenses don't matter. If that were not the case then there would be no need to buy anything better than a kit lens. Colour, contrast, resolution are all affected by the quality of the lens. A body can certainly image better but these days, most cameras are pretty much on equal footing. Having more MP is great. I know that coming from 10 to 15MP then to 22MP. However at one point when I go from that to 80MP my workflow has to change regardless of being able to turn it down in the camera. Sure the options to turn it down are there, but the only option is to sample it down in JPG. There are no smaller binned NEF file options which is a major shame. Regardless, my correspondence in the past with Nikon about my D3s files has indicated that there is no Binning options from their cameras, and also you cannot properly bin a file unless you have access to the demosaic files before RAW processing. This might be different with the D800, but I doubt that Nikon has changed that position. Bottom line, is there an advantage? No, not that much at all. There is a slight advantage with the D800 in certain conditions, and I'm not the only reviewer to report the same finding at all. The real question is more to the effect of why do you need that much resolution to begin with. There's no advantages even in a studio. Some will say to compete with medium format? But to what end? To print in a magazine, to crop more than 40% and expect that pores are resolved on your model. When in fact that magazines are disappearing, art printing is a niche market, and cropping images you may as well use a lighter more affordable super zoom compact. I have no doubt in my mind that the D800 is a great camera and will do well. The irony in all of this is that in the past Nikon users were pooping on Canon users for the higher MP when they came out, which it was radical but highly criticized. Now it's a role reversal. Chasing MP is a futile exercise at best, and only only needs to work on 500 21 MP images to know how it feels let alone working on 500 36mp images. The purpose of this comparison was to see if there was much of an advantage and to show that there isn't much of a difference at least for the studio samples. Thanks again for everyone's thoughts, appreciate the time you both took to reply. O, and @ blogposter: Opening NEF's in Adobe tools is blasphemy. It is a B-grade RAW converter. For a A-grade camera like the D800, please use A-grade NX2. When I look at the colours along the lines the quality of the conversion of the D800 shots makes me cry. You can have much better than that. it has been proven that you really need for the cameras to be released in enough quantities so all the big-name reviewers can fully test them. Then a thorough picture of the IQ for each can be compared and evaluated. When the Nikon D7000 was released there was a storm of detractors who said it wasn't any better than any of the current Canons. Now we know that it blows away cameras in its own class and even outdoes some in the next class up. I have to question a comparison that uses one camera of each brand coupled with one lens. I especially question the use of Sigma lenses. Their high sample-to-sample variations are legendary. I'm waiting for DPReview to settle the matter. Well I don't disagree with you there, but I've had some correspondence with the reviewers there at DPReview, and not admitting that their is issues, Brian who is reviewing the D800 told me that they do not shoot the D800 above F/8 in real world tests because of the diffractive limits. So yes, don't expect that my tests are confirmation to show that diffraction is an issue, but you can trust the word of DPReview when they tell you they don't shoot above F/8 because of the limits. Sigma lens then the 36MP Nikon probably won't go any further. This is another reason to try more lenses. Diffraction doesn't change based on the scale of the sensor format, however what it does mean is that when you resolve it further, the diffraction becomes more noticeably. The point in terms of diffraction is that if resolution and cropping is the intended use, then diffraction does come into play here. Better designed lenses can resolve better, but cannot combat diffraction. Despite the use of the Sigma 70mm lens, the fact is that they used the same lens between the two. I believe it's a focus error that we are seeing, however the tell tale signs of diffraction are still throughout the image which show much of the haziness that looks very familiar to shooting with a pinhole camera.